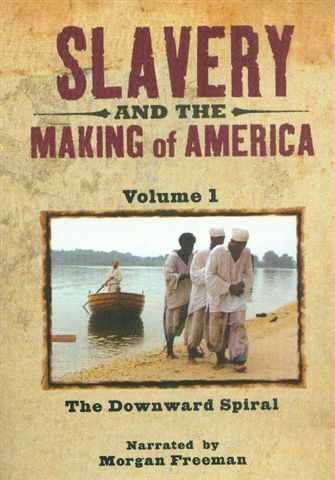 To watch part 2 of the film, click on the link entitled “Slavery and the Making of America Pt. 2“. Episode one opens in the 1620s with the introduction of 11 men of African descent and mixed ethnicity into slavery in New Amsterdam. Working side by side with white indentured servants, these men labored to lay the foundations of the Dutch colony that would later become New York. There were no laws defining the limitations imposed on slaves at this point in time. Enslaved people, such as Anthony d’Angola, Emmanuel Driggus, and Frances Driggus could bring suits to court, earn wages, and marry. But in the span of a hundred years, everything changed. After the 1731 Stono Rebellion (a violent uprising led by a slave named Jemmy) many colonies adopted strict “black codes” transforming the social system into one of legal racial oppression. To watch the film, click on the link entitled “Slavery and the Making of America“. VICE travels to West Africa to rummage through the messy remains of a country ravaged by 14 years of civil war. Despite the United Nation’s eventual intervention, most of Liberia’s young people continue to live in abject poverty, surrounded by filth, drug addiction, and teenage prostitution. The former child soldiers who were forced into war have been left to fend for themselves, the murderous warlords who once led them in cannibalistic rampages have taken up as so-called community leaders, and new militias are lying in wait for the opportunity to reclaim their country from a government they rightly mistrust. To watch the documentary click on the link entitled “The Cannibal Warlords of Liberia“. 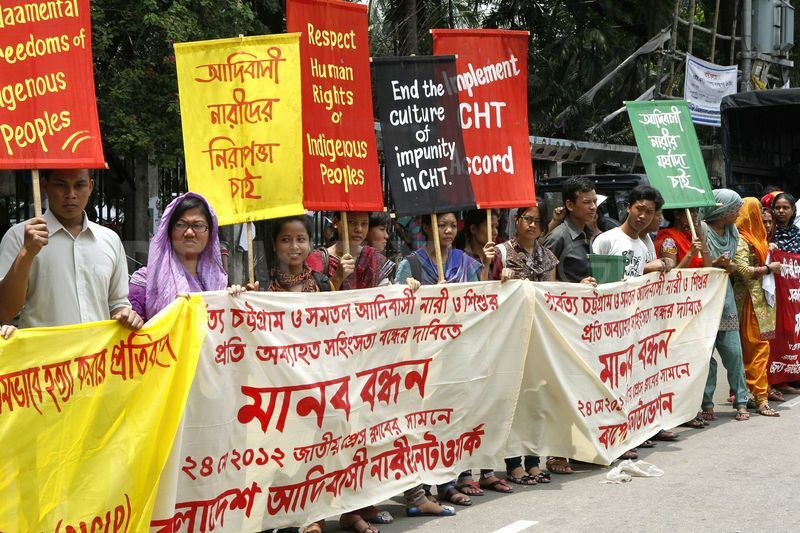 Despite its many human rights violations, Bangladesh still receives European and international aid. The following link entitled “Catholicism Crisis of Faith” is a documentary of Catholics, and ex-Catholics, who speak about their beliefs, their concerns over the doctrines of Roman Catholicism, why they are no longer Catholics, and Catholicism’s contradiction to the clear teachings of Scripture about salvation. The kingdom of the “little horn”, which came after the rise, and fall, of Medo-Persia, Greece, and pagan Rome, which are the kingdoms of silver, bronze, and iron, of Daniel’s prophecy (Daniel 2:27-45), is the Holy Roman Empire. The capital of the empire is Rome, which has been known as “the city of seven hills” throughout history. The religion of Rome, which is Roman Catholicism, ruled over the empire, and was used by Satan as a weapon against the gospel of Jesus Christ, his church, and the Jewish people, throughout its reign. This religious persecution has killed approximately fifty million people by way of its inquisitions, and crusades against Jews, Christians, and everyone who refused to submit t0 the religion of Rome. 9 And out of one of them came a little horn which grew exceedingly great toward the south, toward the east, and toward the Glorious Land. 10 And it grew up to the host of heaven; and it cast down some of the host and some of the stars to the ground, and trampled them. The religion of Rome carried out the work of Satan, according to Revelation chapter 12, by claiming to be the church of Jesus Christ, and converting the European nations to a false religion that contradicted the gospel of Christ. During this time, the Bible was outlawed, and to be found with a Bible was punishable by death. The false religion of Rome was a, mystical, sacramental religion, which claimed to continue the work of Christ by constantly atoning for the people’s sins, and even claiming that the priests were able to turn the bread and wine into the body, and blood, of Christ, without changing the appearance of the sacrament. In this way, Christ was to be continually offered, again, and again, for the people’s sins. This doctrine contradicts the warning from Scripture that teaches that Christ was to be offered once, and for all, for the sins of the people, and those who attempt to offer him up again cannot be forgiven, or restored to repentance. Therefore, this heresy of Rome serves to harden people to the true gospel, and prevent them from being saved by it. 8 but if it bears thorns and briers, it is rejected and near to being cursed, whose end is to be burned. 21 envy, murders, drunkenness, revelries, and the like; of which I tell you beforehand, just as I also told you in time past, that those who practice such things will not inherit the kingdom of God. Rome’s religion has not only redefined Christ’s atonement, but it has changed the gospel of salvation by God’s grace, through faith in Jesus, to a works based religion, which also prevents people from believing the truth. This is done by redefining the order of salvation, and justification by faith. The Biblical order of salvation, and justification by faith is stated below. Election by God, the Father, before the foundation of the world (Ephesians 1:3-11). Called, and drawn, by God, the Father, and taught by him, through the preaching of the gospel (John 6:44-45, Matthew 11:25-27). Regenerated by the word of God, and the Holy Spirit (John 3:3-8, Romans 10:14-17, Ephesians 2:1-6, John 15:3, 1Peter 1:23-25). Justification through repentance & believing the good news of salvation (John 6:34-40, Romans 3:19-26, Mark 1:15, Romans 10:6-13). Sanctification through abiding in the teachings of Scripture, and not the Old Covenant law, nor man-made traditions (John 15:1-17, Galatians 3:22-27, Colossians 2:4-23, 2Peter 1:16-21). Glorification when Jesus returns to raise his people from the dead to reign with him forever (1Corinthians chp. 15, Romans 6:3-8, 1Thessalonians 4:13-18, Revelation 20:4-6). Rome’s false order of salvation does not justify sinners until the sinners have finished paying of their sins in purgatory, as seen below. Baptism removes original sin from converts, and puts them in a right relationship with God. Confirmation is when converts receive the Holy Spirit by the laying on of hands, and is also when they receive a patron saint into their lives, which is the equivalent of a spirit guide in occult religions. The Eucharist is the sacrament, which is stated above, that converts partake of for the purpose of receiving forgiveness for venial sins, which are slight and pardonable sins. Penance is confession of sins to a priest to receive forgiveness or punishment for sins. Extreme unction is the anointing of dying converts for the purpose of preparing their souls for Heaven. Cleansing by fire is purgatory, wherein the converts are to have their sins purged for an indefinite amount of time before entering Heaven. Justification is when the converts finally is released from purgatory, and enter Heaven. The religion of Rome has made its priests modern day pharisees throughout the church age by way of its false teachings, its hypocrisy, its exaltation of priests, and its greed. 4 For they bind heavy burdens, hard to bear, and lay them on men’s shoulders; but they themselves will not move them with one of their fingers. 5 But all their works they do to be seen by men. They make their phylacteries broad and enlarge the borders of their garments. 8 But you, do not be called ‘Rabbi’; for One is your Teacher, the Christ, and you are all brethren.9 Do not call anyone on earth your father; for One is your Father, He who is in heaven. 10 And do not be called teachers; for One is your Teacher, the Christ. 11 But he who is greatest among you shall be your servant. 12 And whoever exalts himself will be humbled, and he who humbles himself will be exalted. 13 “But woe to you, scribes and Pharisees, hypocrites! For you shut up the kingdom of heaven against men; for you neither go in yourselves, nor do you allow those who are entering to go in. 14 Woe to you, scribes and Pharisees, hypocrites! 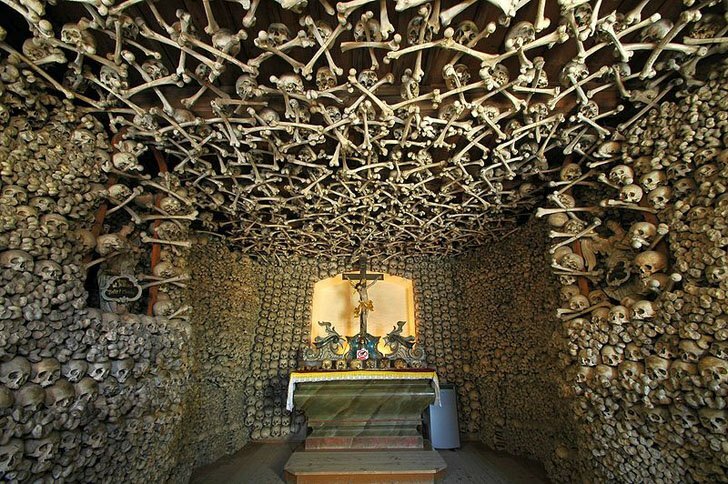 For you devour widows’ houses, and for a pretense make long prayers. Therefore you will receive greater condemnation. 15 “Woe to you, scribes and Pharisees, hypocrites! For you travel land and sea to win one proselyte, and when he is won, you make him twice as much a son of hell as yourselves. 17 Fools and blind! For which is greater, the gold or the temple that sanctifies the gold? 19 Fools and blind! 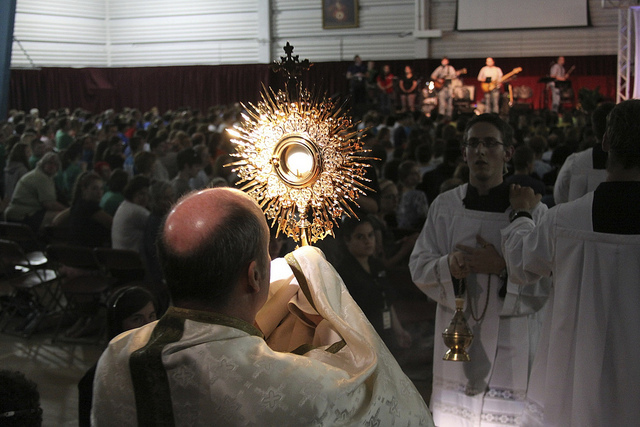 For which is greater, the gift or the altar that sanctifies the gift? 20 Therefore he who swears by the altar, swears by it and by all things on it. 21 He who swears by the temple, swears by it and by Him who dwells in it.22 And he who swears by heaven, swears by the throne of God and by Him who sits on it. 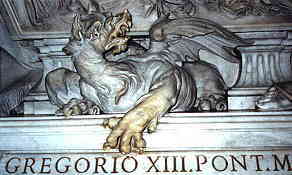 23 “Woe to you, scribes and Pharisees, hypocrites! For you pay tithe of mint and anise and cummin, and have neglected the weightier matters of the law: justice and mercy and faith. These you ought to have done, without leaving the others undone. 24 Blind guides, who strain out a gnat and swallow a camel! 25 “Woe to you, scribes and Pharisees, hypocrites! For you cleanse the outside of the cup and dish, but inside they are full of extortion and self-indulgence. 26 Blind Pharisee, first cleanse the inside of the cup and dish, that the outside of them may be clean also. 28 Even so you also outwardly appear righteous to men, but inside you are full of hypocrisy and lawlessness. 31 “Therefore you are witnesses against yourselves that you are sons of those who murdered the prophets. 32 Fill up, then, the measure of your fathers’ guilt. 35 that on you may come all the righteous blood shed on the earth, from the blood of righteous Abel to the blood of Zechariah, son of Berechiah, whom you murdered between the temple and the altar. Israel seems to have sold Jerusalem to the Vatican. An historic agreement has been drafted between Israel and the Vatican. The Israeli authorities have granted the Pope an official seat in the room where the Last Supper is believed to have taken place, on Mount Zion in Jerusalem, and where David and Solomon, Jewish kings of Judea, are considered by some researchers, to also be buried.It is the culmination of a long campaign by the Catholic Church to regain religious stewardship over the place where Jesus is supposed to have broken bread and drunk wine with his disciples on the eve of his crucifixion. This is an enormous issue pushed through without any public debate. The Catholic Church has long wanted control over part of the area on Mt. 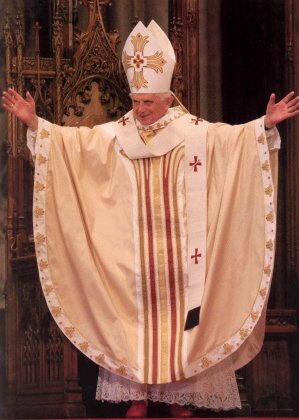 Zion so as to turn it into an international religious center for Catholics. The blueprint of the agreement reads as follows: “The Vatican hands over this use of the Cenacle to the Custody of the Holy Land which will keep the Cenacle open from 6 AM to 8 AM for the celebration of the Holy Mass”. In the long term, the gesture will increase tensions between Jews and the large assets of the Vatican. The Church has long been working to reduce Jewish rights in Jerusalem and in the Old City. Now, after the Muslim Waqf authority expelled the Christians from the Temple Mount and turned it into a mosque, it’s the turn of the Vatican to lay its hands on the Jewish Jerusalem. The Custody of the Holy Land, the Franciscan order who, with Vatican approval, is in charge of the holy sites, campaigns with the Arabs against Israel. 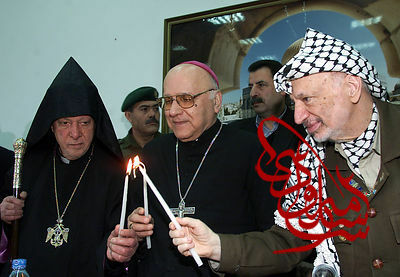 As far back as May 2000, Yasser Arafat met Islamic and Christian clergymen at the presidential offices in Ramallah to back Palestinian Arab sovereignty over Jerusalem. Among the clergymen who attended the meeting, Diodoros I, patriarch of the Greek Orthodox Church, Torkom II, patriarch of the Armenian Orthodox Church, Catholic Patriarch Michel Sabbah and officials from the Custody of the Holy Land. “An official meeting took place in Ramallah, Palestine, at the Ministry of Foreign Affairs of the State of Palestine”. This is the official note of the Vatican press office about the meeting between the Catholic officials and the PLO representatives which took place this week. The Vatican is also asking that Israel hand over to the Vatican’s control dozens of sites, 19 in Judea and Samaria and 28 in Jerusalem. The Catholic Church want to discuss some properties on Mount of Olives, Har Hazeitim, which is the very history of the Jewish people. If you want to keep Jerusalem united, you have to keep Har Hazeitim. The Vatican knows that. 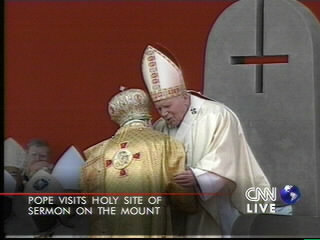 In 1989 charges were made by the Catholic authorities that Israel desecrated the Cenacle on Mount Zion. The charges, which appeared in the Italian bishops’ newspaper Avvenire, said that the Israelis put a memorial plaque on the roof of the Cenacle. The plaque was put in place after the 1948 War of Independence in memory of soldiers who fell in the Old City and whose burial place was unknown. Every year, the bereaved families cleaned the plaque. Why did the Catholic authorities complain? Last year a similar charge was made from the Catholic authorities that Israel wants to “Judaize” Mount Zion. Should the Vatican gain sovereignty over Mount of Zion, millions of Christian pilgrims will flock to the site, and this will threaten the Israeli presence in the Old City’s Jewish Quarter and Jewish access to the Western Wall. The Vatican wants the Jews out of the Old City and apparently Israel’s government is agreeing with them. Turning the Cenacle into an active church is also a way of desecrating the holiness of the site known as the Tomb of David. The Vatican and the Palestinian Liberation Organisation expressed a common position in the Basic Agreement of 15 February 2000, intended to support the recognition of a special statute for the City of Jerusalem. In the memorandum, signed by Vatican officials and the PLO, an organization dedicated to the mass deportation of Israel’s Jews, the Catholic Church wants Israel relinquishing sovereignty at the Western Wall and the Temple Mount. The Vatican-PLO agreement’s preamble on Jerusalem shows that the Vatican’s attitude on Israel’s capital is still stuck in the unforgivable anti-Semitic rhetoric of the 1940s. Until 1948, Christian access to the Cenacle was severely limited, because it was used as a mosque. Since then, the State of Israel is committed to protecting the holy places of all religions, and guaranteeing the right of worship for all faiths. But no Israeli government must tolerate any policy of division, “shared control” or “internationalization” that opens the door to a return to the Arab apartheid of Jordanian occupation between 1948 and 1967. Jerusalem is not for sale. For thousands of years, the Cenacle area was almost always totally closed off to Jews. Sovereignty over Mount Zion is politics, not only religion. The day after the Pope celebrated a mass on Mt. Zion in 2000, he went to Yasser Arafat headquarter to support the Palestinians’ right to return. A few months later, the Oslo war began. And Jews were sacrified again on the altar of “peace”. It was their last supper. This week, the Vatican in its official documents began referring to the “State of Palestine”.